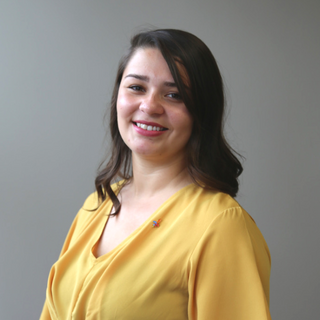 Blanca Ruiz joined the Community Foundation of Louisville in July 2018 as a Grants Associate. As a member of the Development and Stewardship team, she will use her knowledge of donor engagement and data management to process grants. Prior to joining the Community Foundation, Blanca worked as a Communications Coordinator at the Backside Learning Center. Before moving to Louisville, Blanca worked for Angelo State University teaching Rhetoric and Composition. Originally from Mexico, Blanca became a citizen of the United States in 2016 and moved to Louisville, Kentucky. Her personal experiences as an immigrant sparked her passion for immigrant and refugee rights. Blanca received her BA and MA from Angelo State University in San Angelo, Texas.